now that we’re living in the same country again, and might have some time to work on that documentary about the Great South Road, I wanted to tell you about an image that deserves a place in the film. A couple of years ago Auckland’s central public library filled its exhibitions room with a few of the thousands of books, images, and artefacts that George Grey hoarded during his long and peripatetic career as administrator of Britain’s nineteenth century empire. In between the original editions of Blake’s illuminated manuscripts and the shaky sketches Grey made of Aboriginal rock art during the deadly expedition he made into the Kimberleys as a young man, I found a small, blurred, astonishing photograph. Taken on a primitive camera somewhere in the Waikato Kingdom in the first years of the 1860s, when the Mangatawhiri Stream at Mercer still represented the border between Maori sovereignty and British colonialism, the image showed a ‘native church’ set amidst fields of what looked like maize or wheat. With their wooden materials, gothic structure, and stained glass windows of fort-building and dragon-slaying Englishmen, the churches that Augustus Selwyn’s Anglican church raised after the invasion, conquest, and confiscation of the Waikato Kingdom have become favourites of Auckland daytrippers and wedding parties. It is easy to forget – I confess I had forgotten – that, well before the invasion of 1863, Maori religious leaders like Wiremu Tamihana were raising their own, very different churches south of the Mangatwhiri. The church in the photograph was long, and low, and rectangular, like the dozens of wharenui that stand today on the archipelago of Maori-owned land in the Waikato, but it was made with provisional, fragile materials: raupo logs, fern, reeds, and what looked like flax. It was a building thrown up quickly, by a society in motion. In the 1850s and early ‘60s, under the leadership of Tamihana and his allies, the hapu and iwi of the Waikato had begun to grow wheat and corn alongside traditional crops like kumara, and had planted dense and profitable forests of plums and peaches. A fleet of Maori-owned schooners took these goods to the hungry settler city of Auckland, and returned with cash and trade goods. 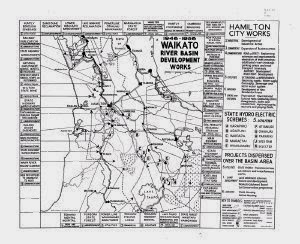 The Waikato boomed, and new kainga were established beside the ever-growing cultivations. The crops behind the church seemed to sway, and I imagined a wind blowing down the Waikato, from the hills at Bombay where Grey’s troops were felling trees and laying gravel, as they built the Great South Road, or the ‘road to war’, as some land-hungry Auckland settlers apparently called it. The road would soon run all the way to the border at Mangatawhiri. In the decades after 1863, the landscape of the Waikato began to change. Swamps were drained like wounds, forests of kahikatea and puriri were felled for fenceposts, and cows and sheep grazed over razed wheat and corn fields. After the invention of refrigerated shipping in the 1880s, and the beginning of a large-scale trade in beef and mutton with Britain, these changes to the landscape hastened. 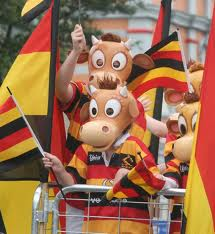 In the twentieth century the region became synonymous with dairy farming – it was commonly called, by sarcastic Aucklanders as well as proud Hamiltonians, ‘Cow Country’, and its rugby team, which had inherited some of the martial spirit of the soldier settlers sent south from Auckland by Grey, was nicknamed the Mooloos, after a Jersey cow. Sometimes remembering must involve imagining. Because of the destruction of the old landscape of the Waikato, and the rarity of images of that landscape, it has taken historians and artists an effort of imagination to conjure the world of the 1850s and early ‘60s. With its fields of wheat and maize wedged between forested wetlands and a broad, turbulent river unharassed by dams and flood gates and pumping stations, the Waikato of Wiremu Tamihana’s era would inevitably seem exotic, even alien, to New Zealanders born after the 1860s. It might have more in common with certain Asian landscapes – with the tilled floodplains of the Mekong River in southern Vietnam, for instance, or the lowlands of Java – than with the place we recognise as New Zealand. In recent years, though, the landscape of the Waikato has begun to change again. The new middle and upper classes of a booming China have decided, for reasons that are perhaps obscure, to make the consumption of dairy products one of the symbols of their prosperity. The milk, cream, yoghurt and cheese produced in regions like the Waikato is devoured in Shanghai and Dalian. The dairy boom has inevitably increased the size of dairy farms and cow herds. Hilly and scrubby land that was long abandoned to sheep and beef farming is being deemed fit for dairying, and new supermarket-sized milking ‘sheds’ are being raised. The burgeoning dairy herds of the Waikato have an appetite as hard to satisfy as the consumers of China. Farmers have long fed their cows maize, to supplement their diet and increase their milk yields, and the new dairy boom has vastly increased demand for this crop. In the past, many dairy farmers would set aside a paddock or two for a maize crop to feed their stock; increasingly, though, cropping specialists are growing maize on large blocks of land and selling it to dairy farmers. 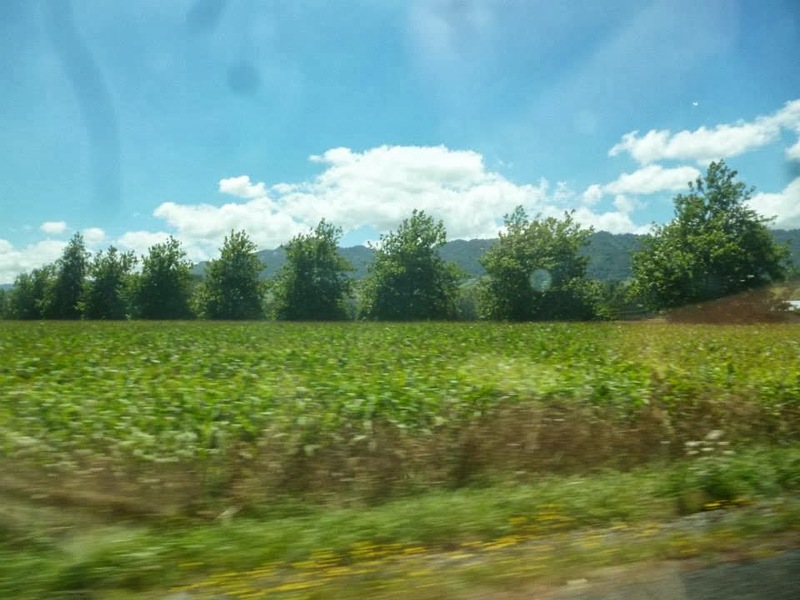 Much of the maize is being grown on low reedy acreage close to the Waikato and Waipa Rivers. When I travelled down the Great South Road into the Waikato recently, I was amazed that, in the year I had been away, so much cropland had appeared alongside the river. 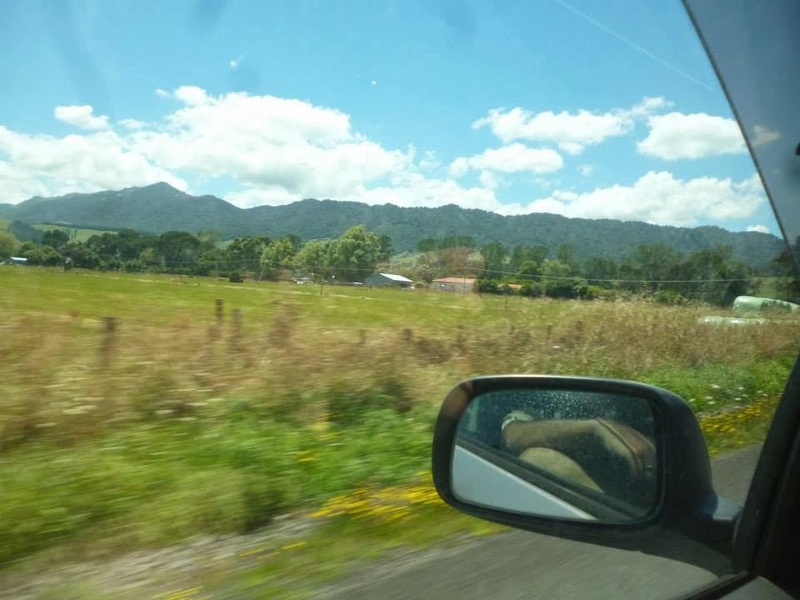 The luxuriant and lost fields I had seen in that ancient photograph seemed to have returned, though in the twenty-first century they are more likely to be owned by an Auckland or Australian-based company than a hapu. I am not sure how Auckland’s librarians regard the man who founded their institution. Like so many treasures the colonial past has bequeathed us, Grey's hoard of books and images smells of gunpowder and blood. When they retrieved those photographs and notebooks and war charts from their basement, the librarians were exhuming a corpse. But I think that, even if it means annoying the custodians of Auckland’s past, we need to find the photograph I saw in the library’s exhibition room, and put it in your film. Vegans say get rid of all dairy consumption. Milk is murder. But some people can't stand the truth. It is completely unnatural for us to eat dairy products. As mammals, our bodies were not designed to ingest milk (and then only from our own species) past infancy. Among other things, the mucous in the milk (and that's basically what milk is, along with traces of pus and blood), aggravates our own mucous production, thus prolonging cold symptoms and worsening conditions like asthma. I know from my own experience that my lifelong asthma symptoms disappeared after going vegan/quitting dairy, and I now rarely get colds and when I do they are mild and last about 2 days as opposed to the week long colds I would have as a dairy eater. Once a child is weaned milk is a great food. Asthma is a kind of allergy not caused primarily by milk products. 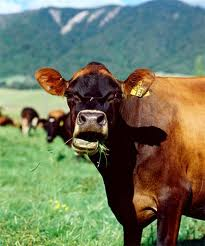 NZ makes a lot of it's wealth by export from dairy and milk products. *If it was designed it was rather inefficiently designed, and is thus subject to "slings and arrows" and "all the ills the flesh is heir to..."
Cows and similar animals have been bred by humans by a process of selective breeding to provide meat and milk. So - comments on the film and the main theme of Maps's points here? Or is it more about Devil Worship?